A few weeks ago, there was a comment made in class by a student who worried she’d be frustrated in other classes by not being allowed to use her Personal Learning Network (PLN). That comment confused me because I think of my PLN as first and foremost my personal network that I can tap into for anything at any time. The people in my PLN come from all walks of life and from all walks of my life. They are my friends, family, coworkers (past and present), fellow students, roommates from college, marathon training buddies, dog rescuers, educators, consultants, friends of friends, neighbors… okay, you get the point. Much the way we read about how Suzanne used her PLN to complete coursework, find an upholsterer to fix the sofa the puppy chewed, and score a photo of the Galapagos for her daughter’s school project, there isn’t much I do without tapping into the resources of my PLN. For example, last December I attended a retirement party for one of my bosses at SunTrust. A friend and former colleague introduced me to a gentleman from the Richmond office of Special Olympics, and we got talking about one of their annual fundraising events called Over the Edge. 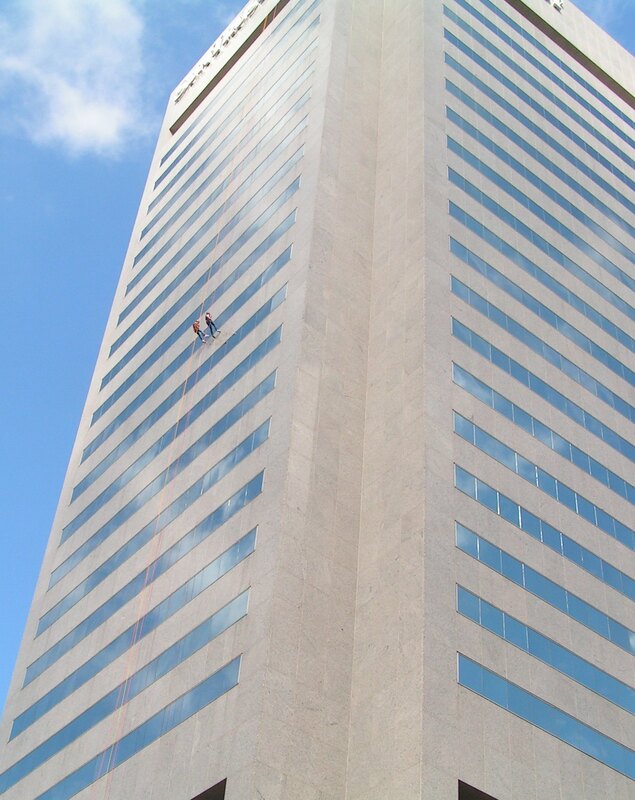 The premise is that if you raise a minimum of $1,000 for Special Olympics, you earn the honor of rappelling down one of the tallest (maybe the tallest) buildings in downtown Richmond. Not only had I never rappelled, I’d never raised $1,000 for anything, but that evening a seed was planted. I kept that gentleman’s business card on my desk, and six months later, I made the decision that I was up for the challenge. 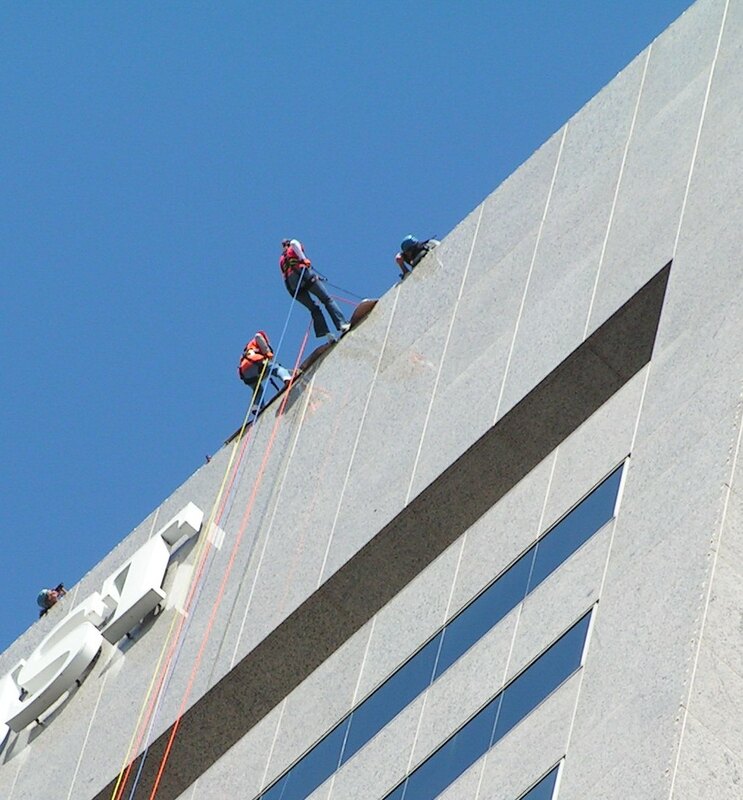 I decided to use Facebook as my primary tool to get the word out that I had finally lost my mind… I mean the message that I wanted to raise $1,000 for Special Olympics and be able to rappel down my former workplace. While not all my friends are on Facebook, the majority are, and so it seemed the best way to blast out a request along with a link to my fundraising page. Additionally, I sent a few emails and posted tweets about my endeavor, but the height of my fundraising was before Twitter really began to click for me, so I wasn’t expecting much from that effort. My “Other” connections included a friend of my parents as well as a friend of my college volleyball coach who doesn’t know me at all but made a donation because my Coach promoted my fundraising page on her Facebook page. True network in action! 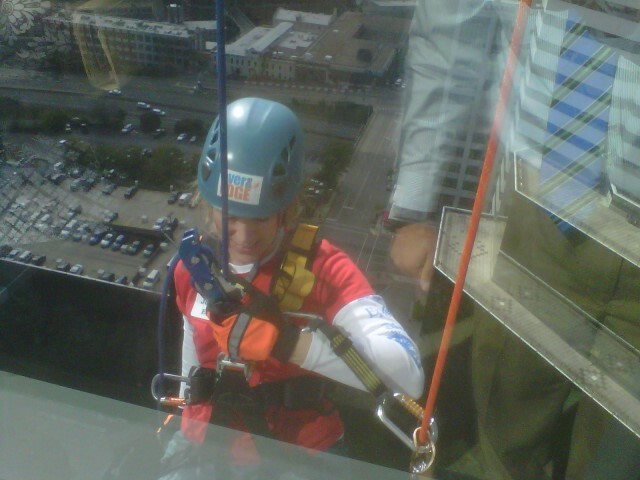 Upon reaching my goal, reality set in — I was going to rappel down a really tall building! Once again, my PLN came to my rescue, and I discovered that I know several people who are avid climbers. Tremendous gratitude goes out to my fellow M.Ed. classmate Lindsey for taking the time to meet me at Peak Experiences and introduce me to climbing and rappelling. Without that, I would not be able to say that this moment pictured below was when I stopped being nervous last Friday. Yup, that’s me on the right, perched on the edge of the SunTrust building in downtown Richmond, some 400 feet above street level. And this is me — smiling — passing the windows on the 20th floor. An unexpected outcome of this latest installment of my insanity is that through this event, I was able to expand my PLN by making connections with other rappellers as well as strengthening some weak ties in my PLN who have now seen a different side of me and have become a more active part of my network. I would say this was a once-in-a-lifetime experience – except I want to do it again! I hope my PLN will continue to expand so I can continue to meet the donation challenge for Special Olympics and be rewarded with the experience of rappelling again… and again. To tie this all back to my journey through learning, I hope that this story illustrates that your PLN is truly at your disposal for any new learning experience you desire and that assistance may come from a subset of your network that you had not expected. Anything that you do can be an opportunity to use and grow your PLN.